Nadine is the Broker/Owner of Key Realty. As a graduate of Massachusetts College of Liberal Arts (MCLA) she earned a Bachelor’s degree in Business Administration as well as certification and MA licensure as a Secondary Educator for Business Management and Marketing. Nadine is committed to her profession and as a member of the Berkshire Board of Realtors, Berkshire Multiple Listing Service, the Multiple Listing Service Information Network in Western MA, the Massachusetts Association of Realtors, the National Association of Realtors, and the Professional Standards Committee; she is a wealth of knowledge. Nadine began her career in real estate as an investor over 26 years ago. She entered into the real estate sales industry over 17 years ago and opened Key Realty in April of 2015. She is dedicated to providing professional, compassionate service to her clients. Nadine hand picks her real estate associates and trains them herself. The Key Realty associates are revered, respected and highly trained in fiduciary duties and advocacy for Key Realty clients, market techniques, property values, short – sale and foreclosure negotiations. The entire Key Realty Dream Team are experts in creating smooth transactions by developing and nurturing partnerships with all the parties involved in each transaction. 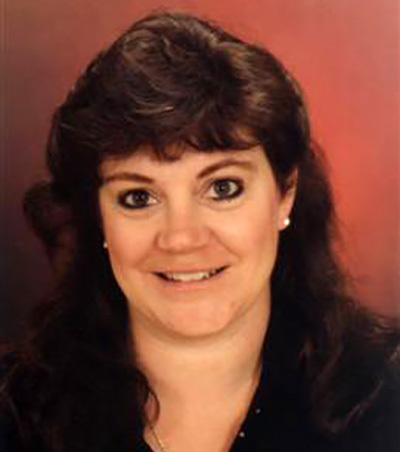 Your experience with Key Realty will be worry free, and Nadine provides customer service that is second to NONE! She is waiting for YOUR call. Leave a personal message at 413-329-5209. Nadine Hiser was very helpful in the process of buying a house. She really made sure that the house I bought had everything I needed and was safe for my two boys and I. I would highly recommend her if you are looking to buy a house, she always has your best interest in thought. Nadine Hiser and her team at Key Realty REALLY came through for us. We are out-of-state sellers that sold our vacation townhome in Jiminy Peak’s Beaver Pond Meadows. We originally reached out to a couple of other Realtors, including ones that supposedly “specialized” in selling townhomes and condos in this specific area. When we found Nadine, it was like a breath of fresh air. Her level of professionalism, responsiveness and “get it done” attitude was so far above anyone else we interviewed that it was a no brainer to go with Nadine – and boy, did we make the right choice. Nadine swiftly handled every issue that came along and made the experience of selling with her a pleasure. From Title V inspection issues, to communicating with lawyers, to dealing with HOA Management companies, to even finding us someone to move out the furniture – she was amazing every step of the way! We also loved the fact that she uses DocuSign for all of the paperwork, which allows the document side of things to move along quickly, seamlessly and easily. If we could give Nadine more than 5 Stars we would do it! We give Nadine Hiser our highest recommendation and would never hesitate to give her name to anyone selling or buying in the Berkshire area. Almost 2 years ago I found a house that I liked and wanted to buy. I decided To work with Key realty to accompany me with my short sale with the property. It was definitely not one of the smoothest experiences I have ever had with the seller, making it very difficult to proceed with the sale. However, with all the frustration and time spent, I never gave up hope because Nadine was always right there fighting the battle with me . She has shown outstanding customer service and empathy were others would have simply not cared . Every bump there was Nadine was there trying to help in anyway she could. She understood what I was going through and was the best advocate that someone would want for a realtor. Thank you Nadine for everything you have done for me and we can finally say we did it! I will definitely be working with her again in the future. Awesome! Great work. Great communication. With such a low inventory of homes currently on the market it seemed, at times, the right one in the right spot & at the right price might never be found. Nadine never quits Thank you Nadine. Nadine was a wonderful agent. She was very knowledgeable and honest. I was very pleased with her services. At times we got very discouraged during the house hunting processes but Nadine kept us positive and optimistic. Hands down best agent around! Nadine was very helpful This was the first time we’ve ever done anything like this and she was patient and very knowledgeable. I would recommend her to anyone that would want to buy or sell a home.